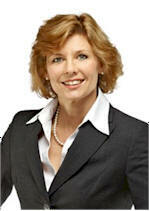 Bev heads up an advisory practice at Canada’s leading independent wealth management firm. With over thirty years of experience, she has deep commitment and insight into the issues facing Seniors and their families as they navigate later life transitions. A co-author of two books geared to transition planning and a frequent presenter at industry conferences, Bev has been recognized by Wealth Professional Magazine as a “Woman of the Year” for her leadership in building lasting network and client relationships through a life planning approach. An early adopter of the EPC in 2006 and as the daughter herself of frail, aging parents, Bev speaks from a personal perspective, as well as from that of a veteran financial professional and author. Her areas of expertise include gender differences in retirement planning, planning for retirement transitions, and communicating effectively with women. Passionate about the outdoors, Bev and her husband Bart are happiest when they are on the road RVing under their pseudonym, the Knappers.